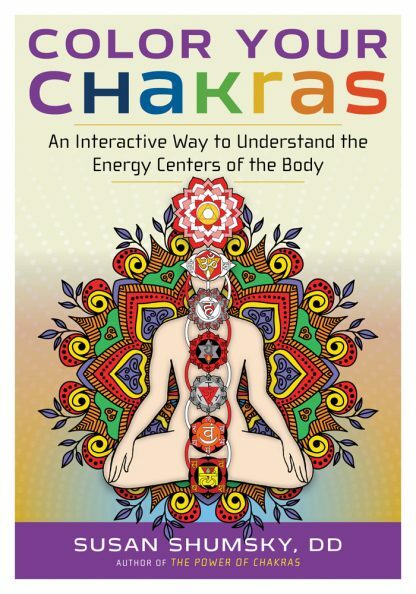 Color Your Chakras is a fun activity book for adults and children alike. The chakras are powerful energy centers located in your subtle body. Unknown to many people, these vortexes of life energy govern and regulate your physical body. According to the ancient Tantric and Vedic scriptures of India, there are 14 chakras�seven major ones along your spinal column, and seven others, most of which are located in your brain. Each chakra performs a specific function and is associated with discrete body parts and aspects of mind. Each chakra (or �wheel�) has a hub, where subtle energy conduits intersect; and spokes, which are radiations of subtle energy. Chakras are often likened to lotuses, and the radiations of energy are equated with lotus petals. The lotus petals on six of the seven major chakras comprise the entire Sanskrit alphabet, and the seventh major chakra vibrates all 50 letters of the Sanskrit alphabet. Each left-hand page in Color Your Chakras includes a description and explanation of each chakra or chakra deity. Each right-hand page is an appropriate drawing. The explanations include information about the drawings and the specific colors that are mentioned in the scriptures of ancient India.